Iran’s missile test launch in October violated U.N. ban, says Security Council panel. Picture obtained from the Iranian ISNA news agency on Dec. 16, 2009 shows the test-firing of a medium-range missile. 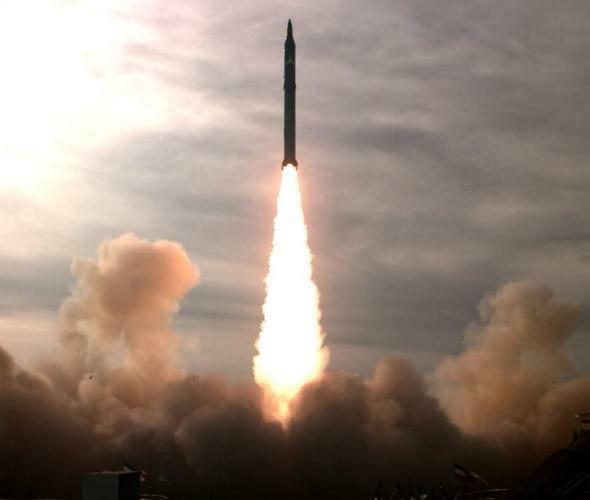 A confidential Security Council report found that Iran’s October test of a mid-range missile capable of delivering a nuclear warhead violated a U.N. resolution banning ballistic missile tests by the country. Iran maintains that none of its missiles are capable of carrying nuclear weapons and carried out similar rocket launches in 2012 and 2013. The stakes are very different in 2015, as a delicately negotiated nuclear deal is still in its infancy and in the process of being implemented. The U.S. requested the Security Council take action against Iran, but punitive measures seem unlikely given Russia and China’s concerns that it could imperil the nuclear deal. The missile launch wasn’t exactly covert. “The U.N. experts based their findings on reports in Iranian media, comments by Iranian officials and information provided by member states,” the Wall Street Journal notes. “The report included several pictures and screen shots of videos of [the] launch, and said the missile was tested in a desert location in the northwest or northeast of the country.” Iran’s Minister of Defense Hussien Dehghan also explicitly briefed the Iranian media on development of the homegrown weapon. The launching of ballistic missiles is prohibited in a provision of U.N. Security Council Resolution 1929. The resolution, adopted in 2010, imposed sanctions on Iran including an arms embargo, ban on testing of ballistic missiles, and restrictions on any material related to nuclear proliferation. Most sanctions against Iran are due to be lifted, and previous resolutions shelved, as the nuclear agreement reached in July with international powers is put into effect. Once that takes place, expected early next year, a new Security Council resolution will go into effect that diplomats say would still impose restrictions on Iran’s ability to launch ballistic missiles.